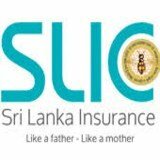 Established in 1962 as a state owned corporation, Sri Lanka Insurance was converted to a private limited liability company for a brief period of 6 years and was reinstated as a nationalized entity on 4th June 2009. The return of ownership to the state has further strengthened the company , which today is the largest government owned insurer in Sri Lanka with an unparalleled managed asset base of over Rs 193 billion, the largest life fund in the insurance industry of Rs 100 billion and a strong capitalization of Rs 6 billion. As the pioneering insurer, Sri Lanka Insurance has the most experienced technical knowledge base in the country. The company’s financial stability and strong re-insurance arrangements have paved the way for it to mark many historical milestones in the Sri Lankan insurance arena such as the largest claim ever paid of Rs 39.5 billion and declaring the largest life insurance bonuses year on year to its life policy holders with the latest being a staggering 6.8 Billion. The ethos and mandate promulgated at the inception by the state has flourished over the years and today Sri Lanka Insurance serves the people of Sri Lanka with merits, expertise and several decades of trust. Sri Lanka Insurance is a state owned institution and over decades of operation, it has received direction of exemplary leaders which has seen the company progress from strength to strength. The company has invested in multi-faceted projects bringing in lucrative returns for all its stakeholders. The strategic investments made by Sri Lanka Insurance span through many diversified fields. 9.4% in Commercial Bank, 10% in DFCC Bank, 14.7% in Hatton National Bank, 15% in Seylan Bank and 10.4% in National Development Bank. Sri Lanka Insurance holds the controlling stake in Lanka Hospitals- a star class hospital equipped with the best medical practitioners and latest medical equipment, providing expert medical care to the people of Sri Lanka. Sri Lanka Insurance has also taken initiatives to diversify its business to the fast growing leisure sector through Sri Lanka Insurance Resorts & Spas. Sri Lanka Insurance has also invested in the world renowned hotel chain Grand Hyatt Hotel Project in Sri Lanka.